Free Range Acappella is a nine strong group that have been singing together since 2002. 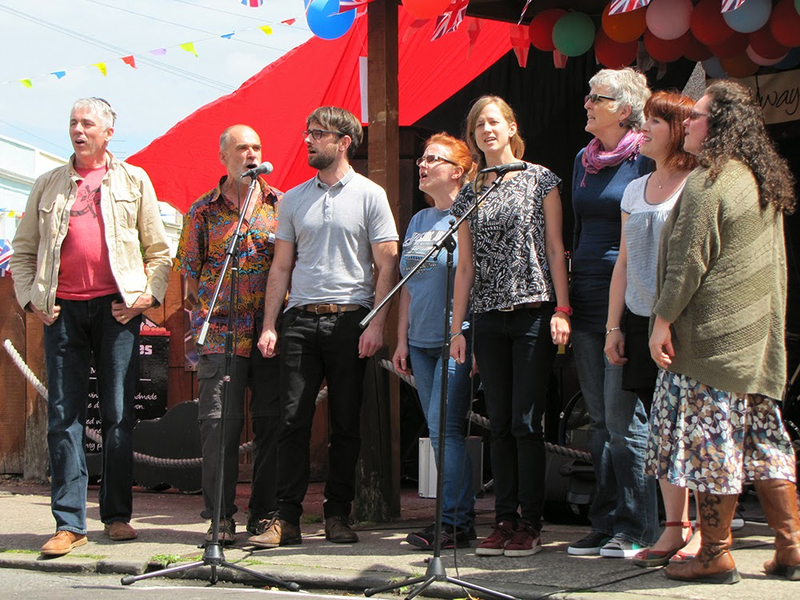 The group likes to sing at local Bristol events and festivals, including weddings. We are a (mainly) democratic group; so whilst songs sometimes take longer to put together it ends up with a very blended sound. The group evolves as people leave (and sometimes return) and new members join. The current line up of Becky, Eric, Kate, Lynette, Martin, Sarah and Lindsay has been singing together since 2013. We sing a mix of songs arranged by the group – Kate, Becky, Eric and Katy – as well as published arrangements.